Welcome !! 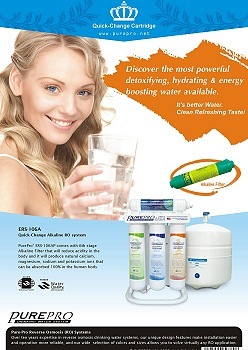 We are the most comprehensive web site for Reverse Osmosis Systems. These same RO systems sell retail for $680 by your local water dealers. Now you can buy as little as $289 directly from us, saving quite a bit of money. click here for more information.